As we all know, the MLPOA has worked for many years to help maintain the quality of the lake. 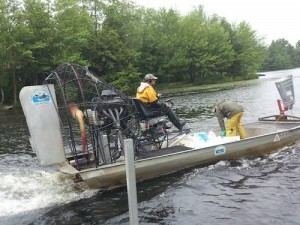 Our primary challenge has been to battle the invasive exotic Milfoil plants from overtaking portions of the lake. To date this effort has been very successful in mitigating Milfoil. Our counterparts on the Massachusetts side of the lake (Winchendon Springs Lake Association – WSLA) have not had the same level of success. They have not had the resources and are now facing a dilemma that will, in time, impact the lake as a whole. They no longer have funds to fight Milfoil. They have made a conscientious effort to get grants and have consulted several limnologists seeking alternatives. The only short term effort that is deemed an option is to lower the lake an additional foot in hopes of killing the Milfoil during the winter frost. Long time lake residents will remember that the lake was regularly lowered to 3 feet every couple years. The normal level is 2 feet. 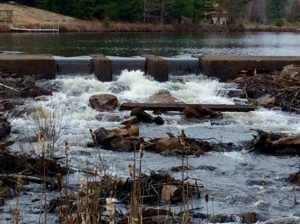 When the dam was rebuilt in the 90’s it was lowered 5+ feet. The WSLA has put in hundreds of hours of work to get approval from state (MA) and Winchendon officials for this change. They have kept the MLPOA informed of these efforts and we have had representatives at many of the hearings. The primary concern of the 3 foot drawdown is the potential water problem that may occur for year round residents who have very shallow dug wells. As a result, a contingency plan has been developed to help assist anyone who may be affected. A copy of the complete plan is available from MLPOA, but to summarize it includes – 1. An agreement with a local shallow well contractor to inspect any wells before the drawdown at no charge. 2. A listing of options for shallow well remediation. And 3. A short term emergency plan to provide drinking water. In the unlikely event that several people are affected, the water level can be returned to 2 feet within a week. The MLPOA views the additional drawdown as a com-promise of the potential inconvenience of the drawdown versus the possibility that our work to reduce Milfoil will be lost if the Massachusetts side of the lake is overcome. The 3 foot drawdown has been approved and will begin October 15, 2017. This will be done slowly and may not be complete until December. The drawback will occur as normal in March/April 2018.